Combat veteran's support dog that attacked pax. That didn’t go so well. A dog that was supposed to provide emotional support to its owner bit and badly injured another passenger on a DL flight. The incident took place while the flight was preparing to take off from ATL heading for SAN. The passenger was taken off the flight to receive medical attention. Another pax told Fox News: "The gentleman's face was completely bloody, blood in his eyes, cheeks, nose, his mouth, his shirt was covered in blood." The dog and its owner were also removed and later allowed to travel with the dog in a pet carrier. The airline said: "Prior to pushback of flight 1430, a passenger sustained a bite from another passenger's emotional support dog. The customer who was bitten was removed from the flight to receive medical attention. 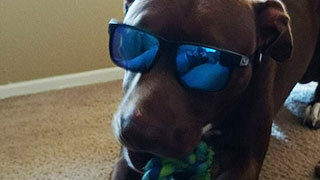 Local law enforcement cleared the dog, and the dog and its owner were re-accommodated on a later flight in a kennel." According to news reports, he was seen back in the terminal in tears, repeatedly saying: "I know they're going to put him down."